Lyne Village Hall is situated in the picturesque village of Lyne, on the outskirts of Chertsey, Surrey. The date for next years fete is set for Saturday 15th June 2019. Check our wedding page for further information about hall hire and further services we can offer. If you need further information about your room hire please look at your hire information page. The event was a great success and very enjoyable, we have managed to raise £2,200 and are currently exploring the best options for the supply and fitting of the Defibrillator. We could not have done it without all the support the village have given us. THE AIM OF RAISING FUNDS TO PURCHASE A PUBLIC-ACCESS DEFIBRILLATOR TO BE SITUATED OUTSIDE THE VILLAGE HALL FOR THE USE OF THE COMMUNITY IN AN EMERGENCY. Find out more the eventFind out more the event. Lyne Village Hall is situated in the picturesque village of Lyne, on the outskirts of Chertsey, Surrey. We are very fortunate in that the hall is owned by the village. The hall is home to a variety of clubs and societies, and we hire out the hall and have an annual fete to raise money for the upkeep of the hall and facilities. Find out more about what is going on the village hall and the local community. Check the clubs and event pages to see what is going at your Village Hall! We have a wide range of regular club at Lyne Village Hall, so if you fancy finding somthing new to why not check what is avialble and when. 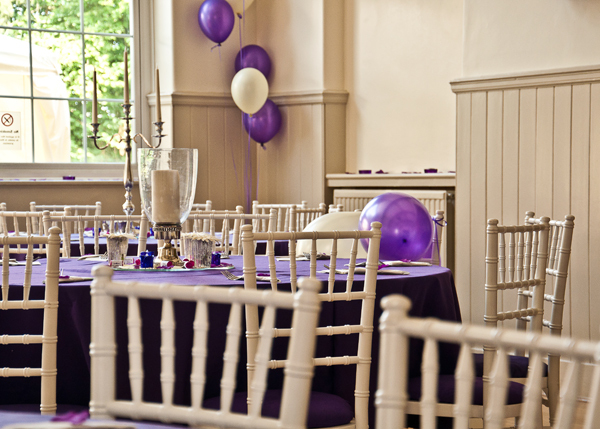 The hall has recently been re-furbished and has already been used for a number of weddings. Please do not hesitate to discuss your requirements. We have our Blue Room which is ideal for a personal one to one or small meeting.